The <col> tag defines column functionalities for every column in a <colgroup> tag. 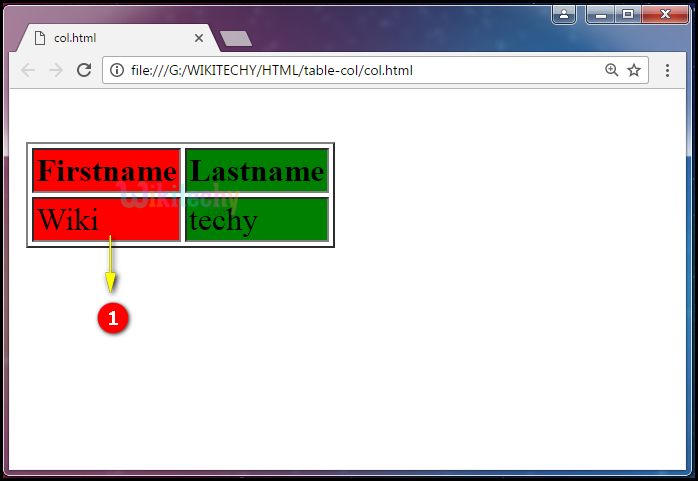 The <col> tag is useful for implementing styles to whole columns, instead of copying the styles for every cell and for each row. The <col> tag supports Global Attributes and Event Attributes. 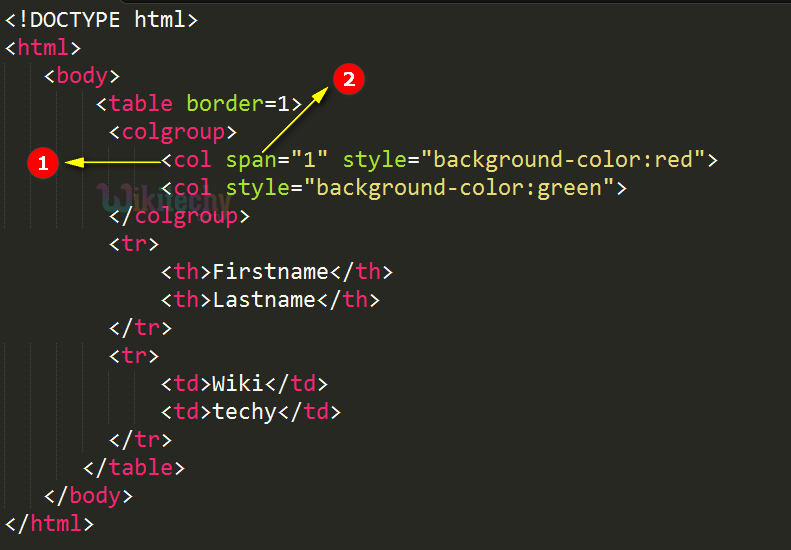 align, char, charoff, valign, span, width attributes are supported. align, char, charoff, valign, width attributes not suppoted in HTML5. Here the output shows the Red Color style property for single column has been applied over here whose span property is 1. Note: Here span property “1” indicates the first column. span number yes yes Defines the number of columns. relative_length yes no Defines the width.